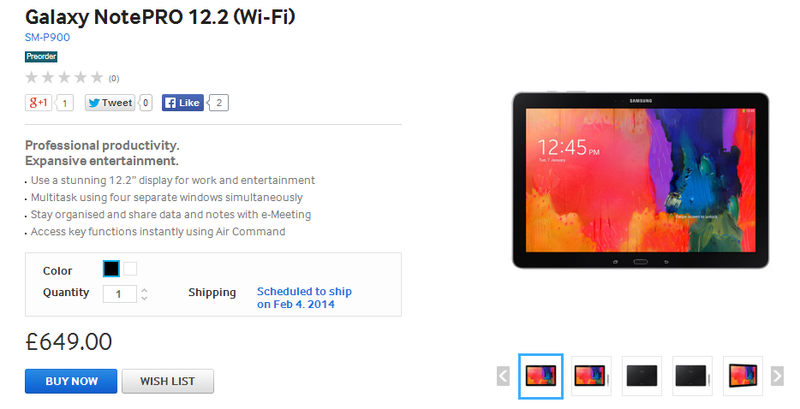 If Samsung has not yet scared you away with its recent indiscretions, the new NotePRO 12.2 can be pre-ordered in the UK. You won't even have to wait very long for this stylus-friendly monster to ship. 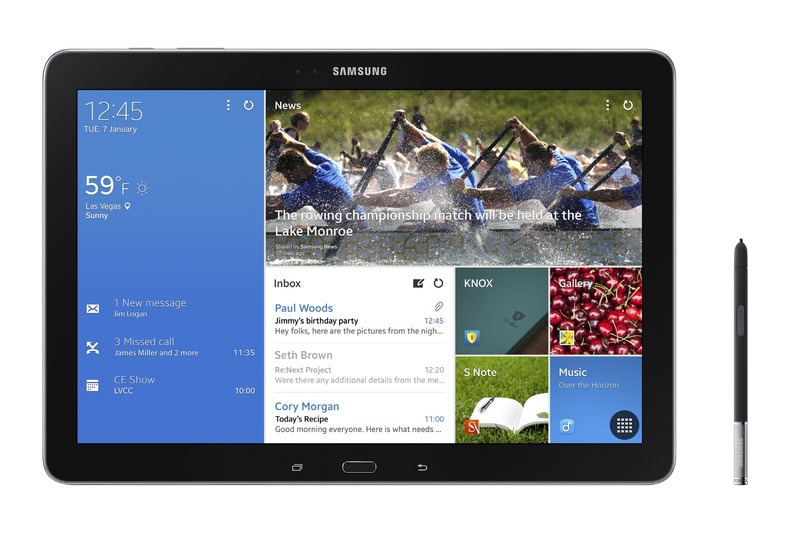 Samsung expects the NotePro (Samsung usually leaves the screen size off) to hop a truck to your home on February 4th. The NotePro is very similar to the previously announced 2014 version of the Note 10.1, except for the size, of course. It's a high-end device with a price to match. What does £649 ($1075) get you? That's a lot to spend on a tablet, but Samsung is really the only game in town if you want a big Android slate with a good stylus.